Although winter in Cyprus can get quite chilly and there is even snow up in the Troodos mountain range, there are still many dry and balmy days when it feels more like spring thanks to the winter sunshine. This means that you are not confined to the indoors and can still get out and about to explore and discover, and what better place to do so than in Larnaka, where you will find more than enough to keep you busy. In this season's newsletter we discover new walks, new museums and new sightseeing tours, as well as the publication of a new in-depth guide that will help you decide where to head to first! Following the local elections, the Larnaka Tourism Board is proud to have four new Mayors and Community Council Presidents of the Larnaka district on its Board of Directors: Mr Andreas Louroutziatis – Mayor of Larnaka, Mr Savvas Xenophontos – Mayor of Lefkara, Mr Chrysostomos Parpounas – President of Voroklini Community Council and Mr Simos Mytides – President of Pyla Community Council. Hermes Airports has introduced three incentive schemes with the aim of increasing traffic to Cyprus' Airports. Within the schemes (New Routes, Winter Capacity and Long Term – Volume Related), airlines and tour operators will be rewarded for making both short-term and long-term capacity growth commitments to Cyprus. Registration will be open until December 31, 2013 for interested parties to join the scheme. A stroll around Larnaka to take in all the essential landmarks is the perfect winter activity, especially now that three new walks have been created by the Larnaka Tourism Board along with Larnaka Municipality, the CTO, the Department of Antiquities and Pierides Museum-MLB. The walk is facilitated with a relevant map, informative placards on each site and medallions with the walks' logo on the pavements along the routes. If you have ever wanted to know the ins and outs of Larnaka - where to visit, or stay, the traditions of shopping, eating and drinking, or just how to get around - then the "Where To…Larnaka – Past & Present Treasures Revealed" Guide has all the answers! 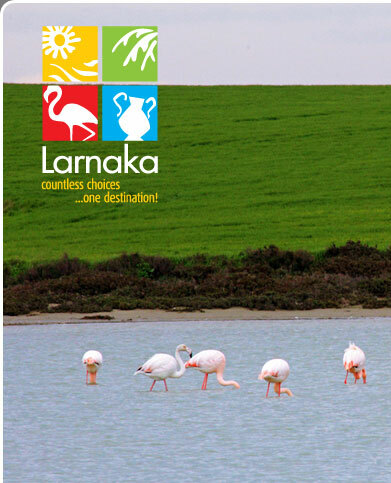 This is the first time that all the most important tourist information on Larnaka has been condensed into one publication. 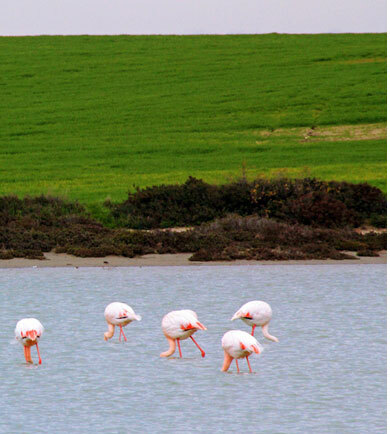 The Larnaka Tourism Board is pleased to welcome the Ladies' Association of Rural Larnaka as a new member. The Association was founded in 2004 with an aim to support and promote entrepreneurial women in the rural areas of Larnaka through promotional and cultural events. One of the events that the association runs is the annual Festival of Tradition and Culture at a different village of Larnaka each year. As the oldest city on the island, Larnaka is proud of its rich historical past, which has been preserved and maintained through the different museums. The Municipal Museum of Natural History has recently been renovated and extended, whilst two new ones have also opened adding to Larnaka's list of cultural attractions. These are Kallinikeio Museum in Athienou and Kyriazis Medical Museum in the city centre. The Cyprus Tourism Organisation and the Larnaka Tourism Board have recently provided new, much-needed rubbish bins in the areas of Pyla, Voroklini and Lefkara. The sleek new bins are not only essential for encouraging locals and visitors to keep the villages clean and tidy, but are also part of plans for a more consistent and stream-lined look within tourist areas. When we discover repeat visitors to Larnaka that love it as much as we do, it is only right to honour and acknowledge their loyalty and friendship, which is why the Larnaka's Loyal Friends Scheme was launched. The scheme awards repeat visitors who have stayed in Larnaka ten or more times. At a recent ceremony 36 tourists from Scandinavian countries were rewarded. The popular double–decker 'Love Bus' sightseeing tour around Larnaka has recently been extended to three hours with the addition of two more stops: the Byzantine church of Angeloktisti in the village of Kiti and the Kostas Kaimakliotis Folklore Museum in Aradippou. Tours on the 'Love Bus' operate daily and take in various sites of interest within the city. Copyright © 2011 Larnaka. All rights reserved.